Depression is severe when appearing alone, however, there may be a synergistic or cumulative effect when depression is co-morbid with medical problems, anxiety, personality disorders, family or relationship conflict, or with generalised life stress. 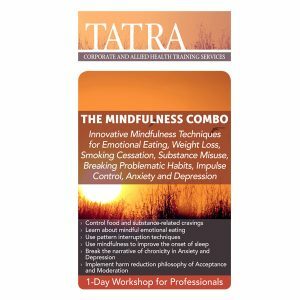 This workshop will focus on the assessment and treatment of depression as it frequently appears, co-occurring with various other disorders. Depression is severe when appearing alone, however, there may be a synergistic or cumulative effect when depression is co-morbid with medical problems, anxiety, personality disorders, family or relationship conflict, or with generalised life stress. 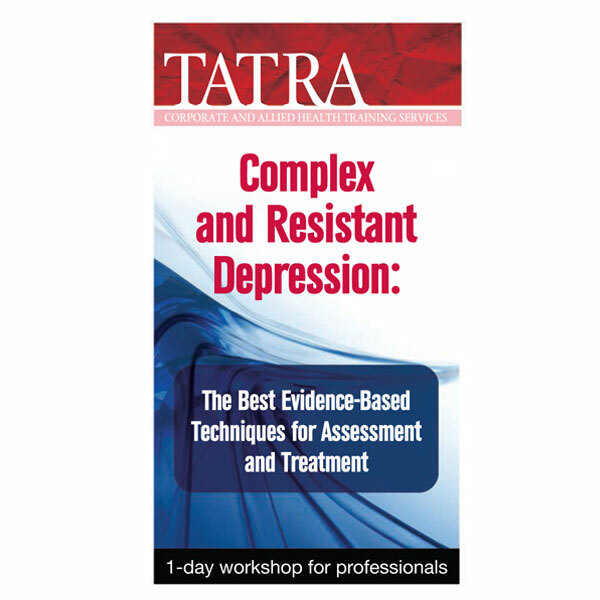 This workshop focuses on the assessment and treatment of depression as it frequently appears, co-occurring with various other disorders. Case conceptualisation and treatment planning for clients with the more typical and uncomplicated diagnoses of depression and anxiety are relatively uncomplicated. In fact, some authorities believe that they are likely to get well regardless of the therapeutic manoeuvres employed or the therapist. These clients respond well to medication, self-help and traditional Cognitive Behavioural strategies. However, an increasing proportion of clients have more complex problems that so interfere with their functioning that they pose significant therapeutic challenges and can be difficult to help. They often require more time in therapy, require more energy and time from the therapist may have great difficulty making progress in treatment, or make no progress at all. Their progress may be blocked by low levels of motivation or limited coping resources. These clients may come to therapy at the request or demand of others, and they see their problems to be externally caused and outside of their control or responsibility. Such clients will have diagnoses that include all the personality disorders, dual diagnoses, schizophrenia, bipolar disorder, and refractory depression and anxiety. Specific workshop goals include how to select targets for treatment, and achievable goals for therapy. 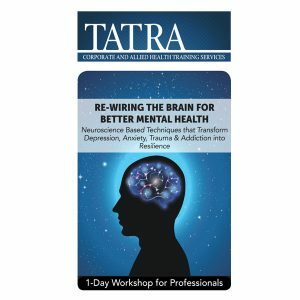 This workshop will provide you with tools that can be immediately useful, practice with various techniques and targets for immediate action. 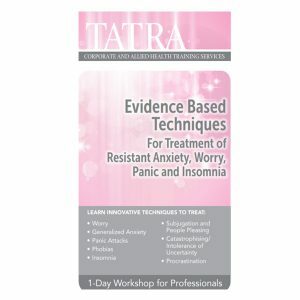 Techniques will be selected from those available with the greatest treatment impact, the combination of psychotherapy, physical health care and pharmacotherapy while evaluating the progress and outcome of treatment.